Under Mac OS X I find a link to OpenCollabNet but I can't find binaries on that link, would much appreciate if someone could help me locate the link to binaries. And also is there a way to install Subversion JavaHL library via macports, if yes what is the command to do so. Using SVNKit is a valid option, but I still prefer JavaHL. The volunteer that was providing OSX binaries hosted by CollabNet stopped making them, so they do not have a Subversion 1.7 version available, only 1.6. I updated the Subclipse JavaHL wiki page. The page directs people to use MacPorts or HomeBrew. Those are the best options for getting JavaHL. I use MacPorts. 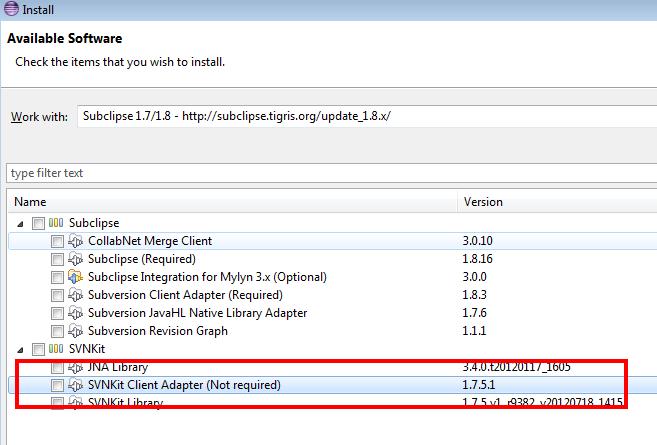 If you are missing the SVNKit-choice, verify if you have installed the plugin "SVNKit Client Adapter" from CollabNet! Not the answer you're looking for? 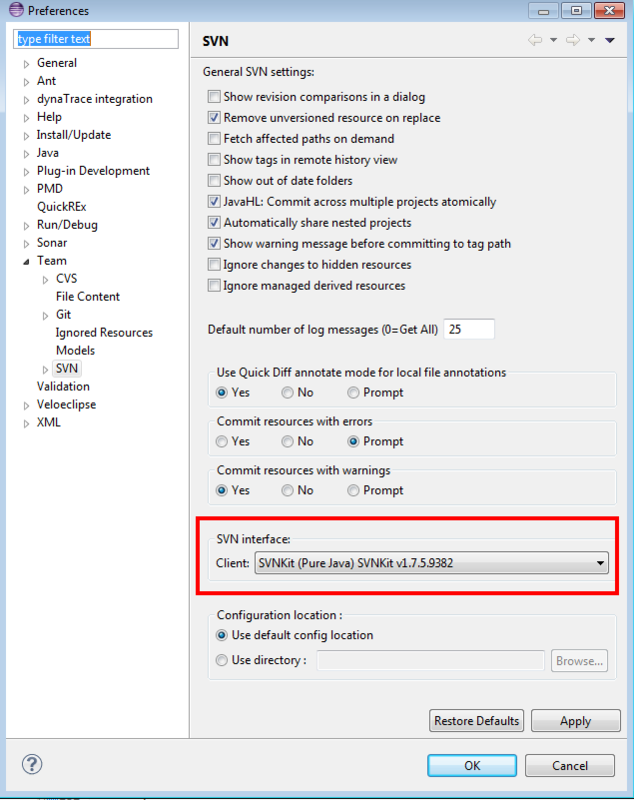 Browse other questions tagged eclipse svn subclipse javahl or ask your own question. What SVN connector do I need to use for Eclipse Juno Subversive on Mac?